Marcus Stoinis grabbed four wickets as Kings XI Punjab's bowling attack made use of a slow, grippy Visakhapatnam pitch with occasional low bounce to restrict Mumbai Indians to 124. 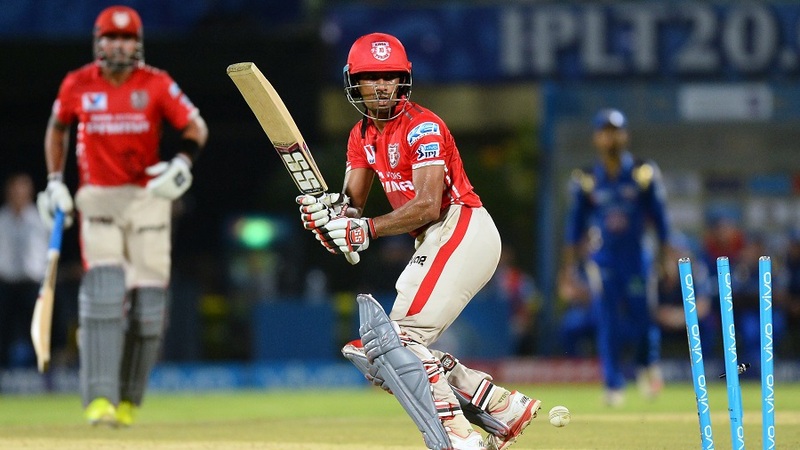 Left with a target they could get to by sticking to cricketing shots, Kings XI coasted to a seven-wicket win with three overs remaining, courtesy half-centuries from M Vijay and Wriddhiman Saha. The slowness and lowness of the pitch, allied to the discipline of Kings XI's bowlers, made it hard for Mumbai's batsmen to time the ball through gaps. Having to rely on muscle rather than pace onto the bat, they struck eight sixes and only five fours. Kings XI hit five fours in the Powerplay. Conditions may have eased out a touch for the side batting second, but the bigger difference was the bowling - Mumbai's quicks, particularly Mitchell McClenaghan, gave away a number of freebies. McClenaghan was often too short to M Vijay, and offered him ample width as well, while Tim Southee overpitched to Wriddhiman Saha, who drove sweetly between extra cover and mid-off.